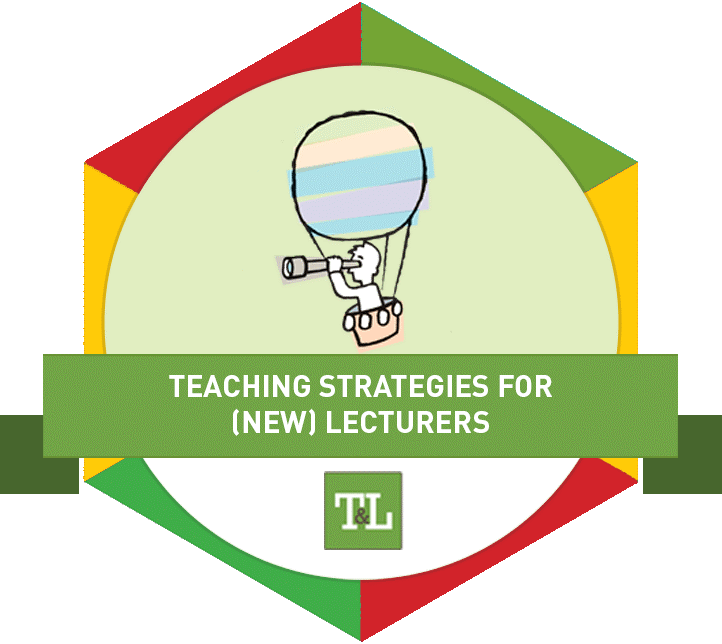 This badge focuses on introducing and enabling you to think more critically about your teaching and moreover about your students learning. You are an expert in your disciplinary area and delivering content rich lectures is something you are very capable of doing. However, this badge aims to increase your awareness of how you are delivering the material. What is the badge about & who is it for? This badge has been developed with people who are starting lecturing for the first time in mind, but it is hoped that the badge will also be useful to experienced lecturers - in helping them identify new or interesting teaching strategies, enhancing awareness of different teaching approaches and perhaps in stimulating some reflection. What professional domains in the National Professional Development Framework does this badge link to? Professional Knowledge and Skills in Teaching & Learning. What are the learning outcomes for this badge? Outline and debate a number of education theories with a focus on active learning and the advantages of student centered learning. Reflect on and critique your own teaching strategies. What is covered, broadly speaking, in this badge? The badge begins with an insight into what teaching strategies are and provides some background on how students learn. We will then show some examples of the type of teaching styles you can use, before covering a selection of the main pedagogical theories in education today. We then introduce some effective teaching strategies before finally looking at elements like classroom management and creating a positive learning environment. What do you need to do to earn the badge? What do the badge assignments entail? Badge Assignment 2 - Watch the two videos taken from 'Mona Lisa's Smile' and using the lens of 'Blooms Taxonomy' identify and discuss which levels in the cognitive domain each video sample is targeting. Discuss also how these levels are reflected in your own practice. (a) Write a reader response to one of the papers. Badge Assignment 4 - Implement a teaching strategy of your choice to overcome one of the issues you identified in relation to your teaching and your students learning. Reflect on the strategy you implemented, what went well and is there anything you would do differently if you were to use this strategy again. How can I complete this badge? The on-line eLearning course content that is to be reviewed, at your own pace and in your own time, can be found here. If you have any questions or concerns regarding the Teaching Strategies for (New) Lecturers national professional development digital badge, please contact the CIT badge facilitator Dr Eileen O’Leary (eileenm.oleary@cit.ie) – alternatively you can contact us and we can forward your query.